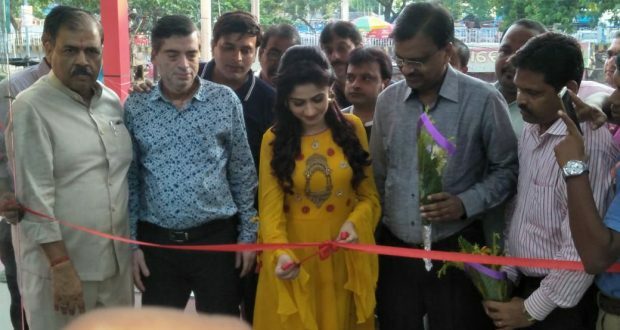 Bhubaneswar:14/9/18:Kolkata Fashion Bazar (KFB) Thursday opened its first store in state capital near KalpanaSquare spread across 10,00square feet.Odla film actress Poonam Mishra had unveiled the store on the auspicious cccassion of GaneshPuja. This is the third store in Odisha. Previous two stores have been opened at Cuttack and Dhenkanal.Talking to media, CMO of Amrit Retailers GouriShankar Goenka said, “We aim to provide garments, sarees and accessories at reasonable prices with good quality Our store is good for both middle class and lower middle class people.”Goenka also claimed that the store will provide best fashion collections from different metro cities. Goenkaa expected to have revenue of 10 to 15 cores in a year from the new store. 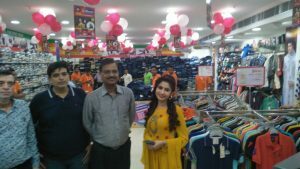 “We hope to do good business here because we provide good quality products at affordable prices,” he said.Sj.Sankar Gupata,CMD,SGBL India who had grace the occasion as chief guest said that ‘ Situated at one of the largest shopping destinations in Bhubaneswar, this outpost of Kolkata Fashion Bazar uniquely smart cloth buying experience. In an inaugural ceremony every purchase has covered a consolation prize, Beside that those who purchase garment worth 1500 will get Launch box, serving set will be offered for the total purchase of 3000, Doffal Bag and dinner set being gifted for 5ooo &10,000 of purchase respectively. Even some of the garment also covered buy one get one offer.